A price war created between New Zealand's two biggest airlines has resulted in a "low fares bonanza" that appears set to continue into 2016. 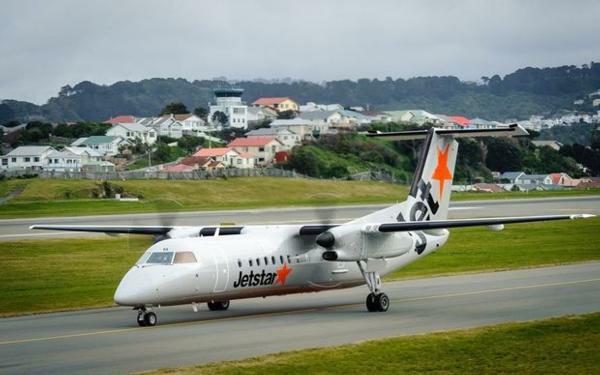 Jetstar and Air New Zealand have been locking heads over domestic fares since the low-cost airline added Nelson, Napier, New Plymouth and Palmerston North to it's domestic network. Jetstar sold 16,000 flights priced at $9 during the launch on August 31. Air NZ responded immediately by matching the $9 fares on its Grabaseat website. The new competition between the airlines - previously restricted to Auckland, Wellington, Christchurch and Queenstown - resulted in air fares dropping across the country. And months on, the cheap deals show no sign of abating. Price checks on both airlines' websites show domestic one-way flights starting from between $29 and $89. Qantas-owned Jetstar is offering the cheapest deals from Auckland to New Plymouth for just $29. At the beginning of 2015, before Jetstar announced their regional services, Air New Zealand airfares to New Plymouth from Auckland were $79, these have since been reduced to $59. A Jetstar spokesman said Kiwi domestic travellers were enjoying "a low fares bonanza" thanks to its regional expansion. "Services are continuing to sell well, particularly prior to Christmas," he said. In the last financial year, more than 70 per cent Jetstar's domestic customers in New Zealand paid under $100 for their flight. A quick look at Jetstar and Air New Zealand websites shows that Jetstar New Plymouth services are selling out much faster than competitor airline Air NZ is.